Fish to Win in our kids tournaments. 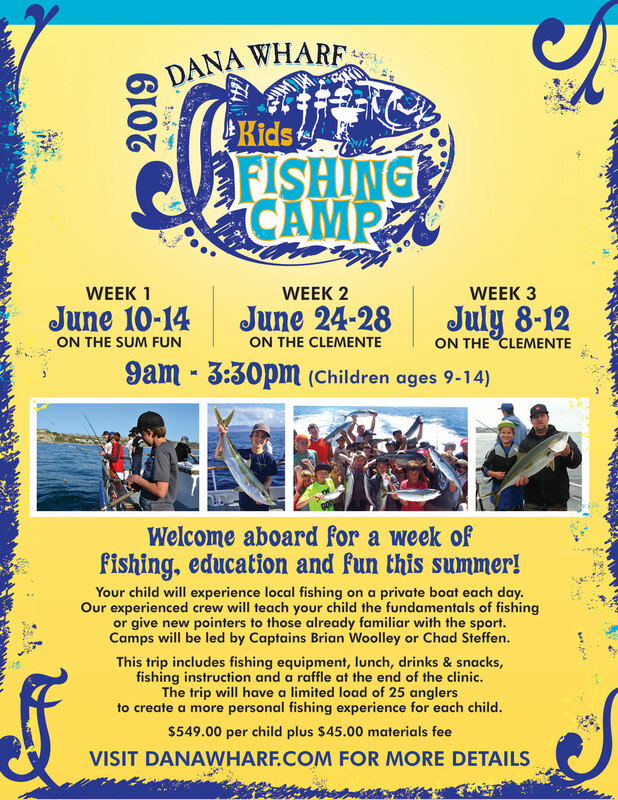 Join Dana Wharf Sportfishing in this exclusive middle school program! Students will experience local fishing on a private boat each Thursday for 5 weeks. At the end of the 5th week, each participant will be given a certificate for a 3/4 day trip with a parent. $25 materials fee for bait and tackle. Students must provide their own transportation.